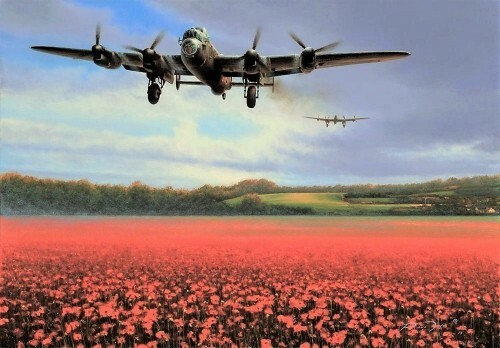 Richard Taylor’s poignant new painting captures eloquently the urgency of a scramble – an everyday occurrence during those frantic days in the summer of 1940. 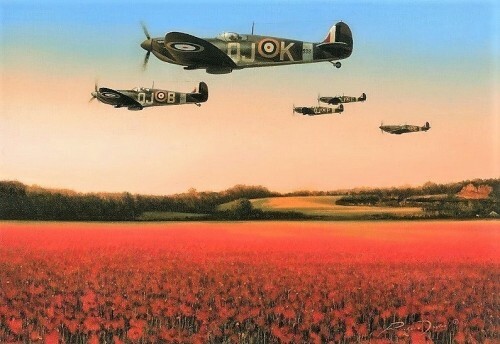 Richard Taylor’s poignant new painting captures eloquently the urgency of a scramble – an everyday occurrence during those frantic days in the summer of 1940. 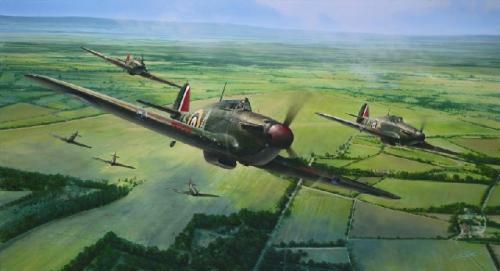 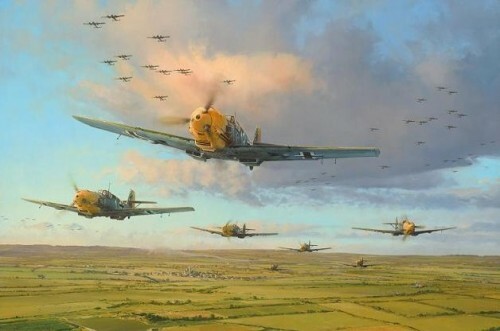 Battle of Britain ace Flight Lieutenant Ian Gleed leads a detachment of Hurricane Mk1s from 87 Squadron as they climb out of their Exeter airfield during the peak of the battle in the high summer of 1940. 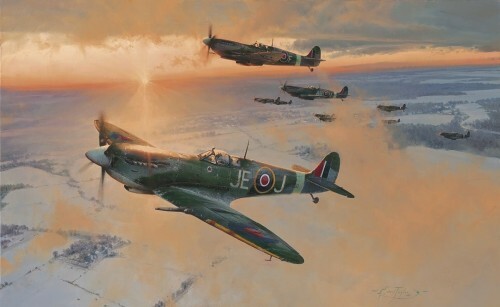 Each of the 460 prints in the edition carries the original signatures of distinguished Battle of Britain Hurricane pilots.